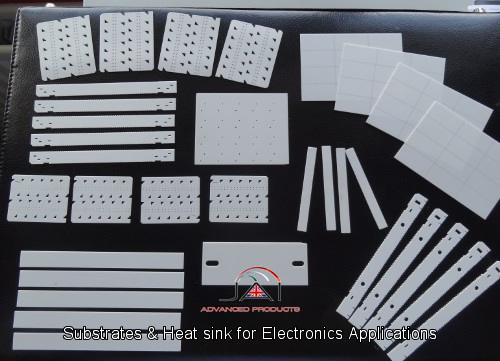 Aluminium nitride is a technical ceramic with interesting properties that finds extensive use within the electronics industry. The thermal conductivity of sintered aluminium nitride is usually in the order of 170-180 W/mK, which is significantly higher than many other technical ceramics. 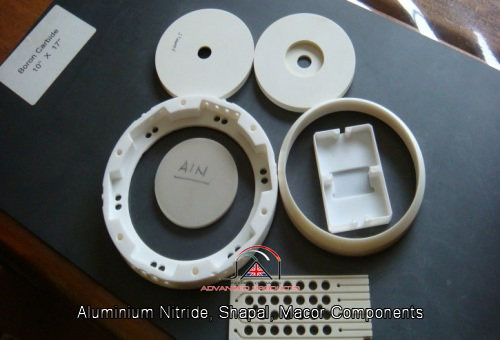 Aluminium nitride can be formed into large shapes and is also readily available as a thin substrate. Sintered Aluminium Nitride is a fully dense material, which can be produced in a cost effective manner, to complex net shapes. This ceramic material has high thermal conductivity and high electrical resistivity compared to normal aluminium nitride. 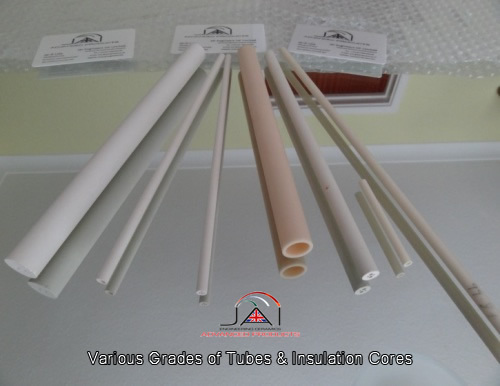 Both material has good electrical insulator and can be easily metallised if required. For this reason the material is often used as a heat sink or in other applications where it is desirable to remove heat quickly. Components according to customers design. Boron Nitride products are manufactured as powders, finished components and blanks, as well as liquid coatings for various high temperature applications in molten metal equipment. Boron Nitride is an advanced ceramic material available in powder, solid, liquid and aerosol spray forms and in solid state it can be machine very easily using diamond tooling. Boron Nitride can easily be machined to close tolerances in virtually with any complex shape. After machining, it is ready to use without additional heat treating or firing operations. In inert and reducing atmospheres, Boron Nitride will withstand temperatures over 2,000°C. It is not wet by most non-ferrous molten metals and slags and can therefore be used as a container for most molten metals including aluminium, sodium, iron, steel, silicon, tin, copper, magnesium etc. metals. 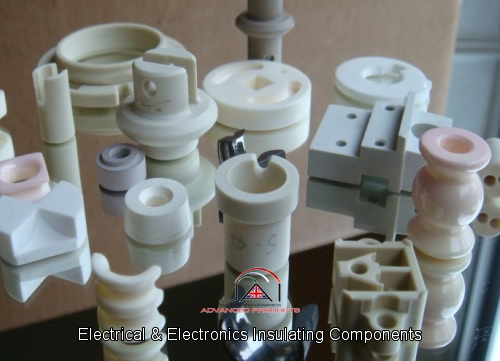 These types of ceramics are excellent electrical insulators, wear resistance, chemical resistance and also can be used at high temperature up to 1400.C depending on type of ceramics and applications involves it is very low cost materials to manufacture, which can be produced by injection moulding, die pressing, extruding, slip casting etc. methods to the near to net shapes.